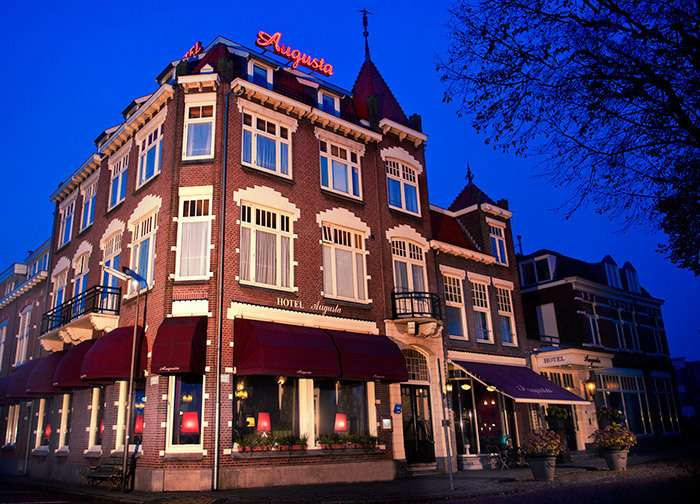 At Augusta hotel & restaurant you can experience the authentic atmosphere of historical IJmuiden. Enjoy the respect of time, it´s almost as if time stood still at Augusta. The beautiful, elegant restaurant and cosy hotel with 25 hotel rooms are the living proof. Recently completed in Art Deco style and equipped with all modern comforts, they make your stay a true experience. Also Augusta is an excellent location for business meetings; our conference and dining rooms can accommodate groups of 8-60 people and are also an ideal opportunity for private dining or a private reception. Larger groups can be accommodated at our neighboring Thalia Theatre, with facilities for catering for upto 550 persons.